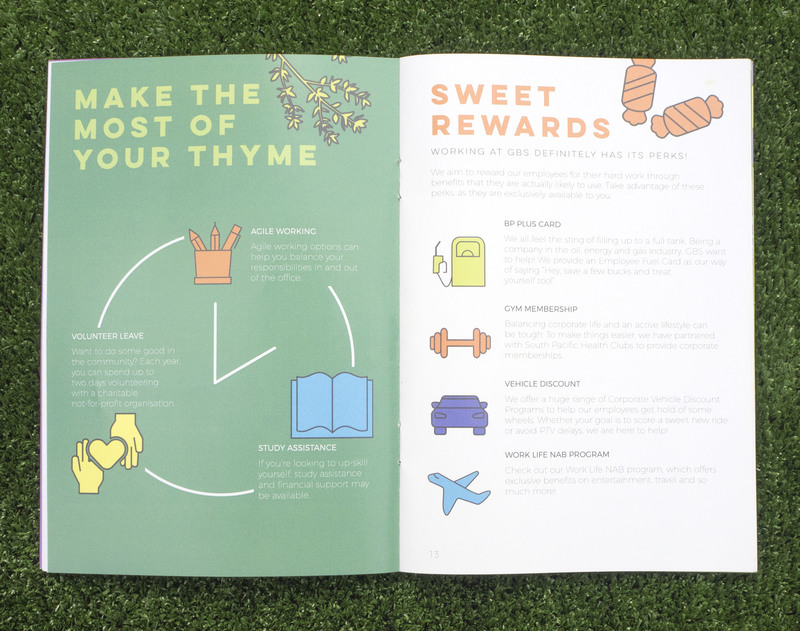 Page says “Make the most of your thyme” showing a clock with different icons used for different times. 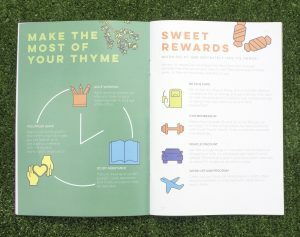 Alternate page says Sweet Rewards and talks about different benefits and shows icons. Events Tips,Tricks & Why I go to One a Week.